This is great news and the Labour Animal Welfare Society is delighted with the decision of Labour Minister, Hilary Benn. A decision we have been calling for over a long period of time. Hilary Benn, Secretary of State for the Environment, told the House of Commons that even large scale culling of badgers only produced “marginal benefits” and that whilst a prolonged cull over even larger areas “might work, it might also not work”. He therefore concluded; “I do not think that it would be right to take this risk”. Trevor Lawson, for the Badger Trust, said, “We are delighted that Hilary Benn has based his decision on sound science. The Government and the farming industry can now move forward together in controlling the disease in a way which supports rather than harms the industry. Eradication is a long way off, but the science clearly shows that control is rapidly within our grasp, provided that the farming unions are prepared to work towards it”. However, the Badger Trust criticised Conservative spokesman James Paice MP for claiming that Mr Benn had gone against the advice of the scientists and for claiming that PCR – the Polymerase Chain Reaction – could be used to “target” diseased badgers. Trevor Lawson said, “The Secretary of State has not gone against the advice at all. It advised him that badger culling can make ‘no meaningful contribution’ to bovine TB control. Furthermore, Mr Paice should be well aware, because we showed him the research paper on 31 January 2006, that the Veterinary Laboratories Agency has ruled out PCR as an effective test for TB in badgers. This test is even ruled out by the researchers who have been working on it, including Dr Orin Courtenay at the University of Warwick who tells the Badger Trust that ‘the application of this technology could only really be used for detecting BCG after a vaccine trial’. SHADOW Agriculture Minister James Paice MP has accused Hilary Benn of a ‘complete failure’ to address the problem of bovine TB. Speaking at the Royal Show, he said the Tories would have been culling badgers for the ‘past two or three years’ as the evidence is, this is the only way to curb the spread of the disease. If the Conservatives’ are elected not only will they bring back Hunting with Dogs but it is also clear that they will condone the mass slaughter of Badgers. Lorriane Barrett AM is a member of the Welsh Assembly. It’s been a while since my last article in Impact; but as they say a week is a long time in politics – so as you can imagine there’s quite a bit to report. We have seen some really positive developments on the Animal Welfare front. Notably, after campaigning for a ban on the use of electric shock collars I was delighted when, on 25th June this year, and after a detailed consultation period, the Minister announced a proposed ban on electronic training devices. This is a great step forwards in protecting animals from unnecessary harm. 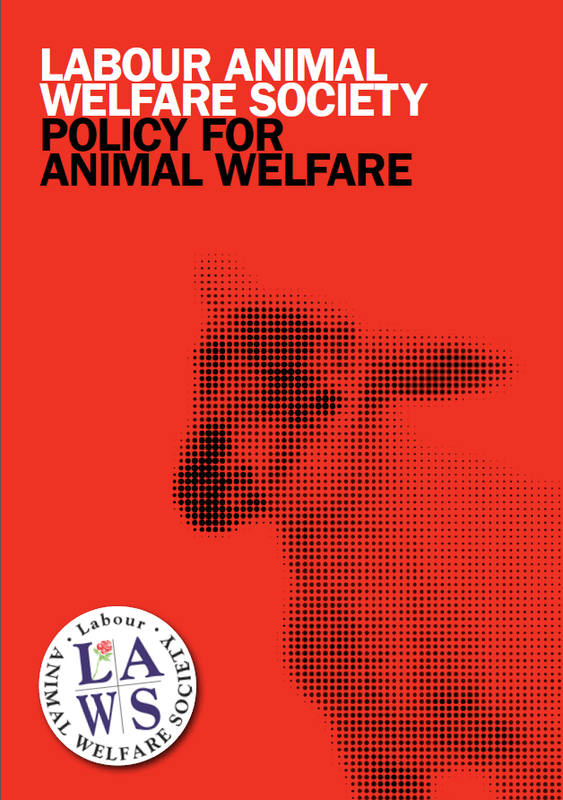 The Animal Welfare Act came into force in Wales in March last year. As you know it’s the most significant piece of legislation for animal welfare for nearly a century, ensuring action is taken to prevent suffering before it actually happens. The Act devolves power to the Welsh Assembly Government to promote animal welfare, devise Codes of Practice and set up licensing systems. The Act also offers myself and other elected members the opportunity to change and modernise existing policy and make it more relevant to Wales or to take a different route than the other respective UK administrations have chosen. I utilised this instrument almost immediately following the Act’s implementation, tabling an amendment to the Docking of Working Dogs’ Tails (Wales) Regulations 2007 which ensured that cross bred dogs will keep their tails and the pool of pure-bred dogs who can continue to have their tails docked has been reduced. This was a bit nail biting for me because it was the last sitting day before the Assembly Elections in 2007, and the last day of business for the second Assembly before it was granted new powers under the Government of Wales Act – and I was delighted to have the support of the Labour cabinet, which won us the day. Unfortunately, it’s not all good news from Wales for Animal Welfare. In fact, one issue has dominated my attention, and newspaper columns, for quite some time. That is a “targeted cull” of badgers which has been announced as part of a plan in Wales to eradicate tuberculosis in cattle. The location of the area and details of the cull have yet to be decided, but we know that the wide-scale area will have manmade or hard boundaries and that every badger within will be systematically exterminated. The announcement sparked a 300 strong protest on the steps of the Senedd. Bovine TB is a very serious condition for cattle and for cattle farmers, right across the UK. Extensive research has been undertaken on the issue, including a ten year independent inquiry commissioned by the UK Government which found that a badger cull would make “no meaningful contribution” to the control of TB and could in fact make matters worse. In the republic of Ireland we have seen a systematic cull of badgers, virtually eliminating them from most areas, but that has failed to address the high incidences of Bovine TB there. What is needed is an effective and sustainable solution to tackle the disease – better animal husbandry and farming practices combined the best way to deal with it. A badger cull does not take account of the cyclical nature of the problem in wildlife more generally. I have, of course, been rigorously campaigning against the proposal at any opportunity available, and I was delighted to hear that DEFRA Ministers had rejected a cull of badgers in England. Not surprisingly they instead stated that they were following scientific evidence and the recommendations of the Independent Scientific Group on TB in Cattle. I tabled a Statement of Opinion in the Assembly calling on the Minister to rule out a cull in Wales, and to return to a scientific-evidence based approach to tackling Bovine TB and considering evidence on which the DEFRA Minister had made his decision. My colleague, Alun Michael MP – who represents the same constituency as me in the UK Parliament – tabled the equivalent, an Early Day Motion, in Westminster welcoming DEFRAs announcement and calling on Wales to re-examine their proposal to press ahead with a cull. I am frankly embarrassed that Wales is proposing to go forward with a pointless, targeted cull. Aside from the animal welfare issues for both badgers and cattle, a cull is an unforgivable waste of money and time. I’m continuing to campaign on this, and I know that I have the support of the majority of Labour ‘backbenchers’ which I hope will give us a strong voice. The All Party Group on Animal Welfare which I chair is continuing to work on a variety of issues; we recently achieved some substantial advances for greyhounds through the Greyhound Network Wales particularly for ex-race dogs. Work with this group is keeps going apace. Each year hundreds of thousands of seals are killed in countries such as Canada and Namibia for their fur and many of the products of these hunts are imported into the EU. On 23 July 2008 the European Commission introduced a draft proposal to ban the import of and trade in seal products throughout the EU. The seal campaign has been a priority for both LAWS and Respect for Animals and so this news was welcomed – with the condition that the ban will be watertight. The Commission’s proposal is a fantastic step forward and could lead to a total ban on all seal products coming into the EU. However, the first draft of the proposal contains derogations (loopholes), which could allow the products from some hunts to still be traded. It is our view that all commercial seal hunts are inherently cruel and research shows that the people of Europe want the trade in all seal products banned – as whale products are banned. Such a ban is long overdue. Much work still needs to be done to ensure that the final legislation is robust and that any loopholes are closed. The proposal is now in the hands of MEPs and the Council of Ministers. Please write to your MEP asking them to support a TOTAL ban on all seal products and to reject any derogations that could end up legitimising some hunting practises. It is very important that the UK throws its weight behind a complete ban on the trade in all seal products. You can also raise the issue by writing to the UK Minister, urging him to support only a complete ban: Gareth Thomas MP, Department for Business, Enterprise and Regulatory Reform, 1 Victoria Street, London SW1H 0ET. Angela Smith is the Labour MP for Basildon & East Thurrock. If we want to keep wild animals safe from hunts, we must first keep David Cameron and his Conservatives out of power. Mahatma Ghandi said, “The greatness of a nation and its moral progress can be judged by the way that its animals are treated”. If Ghandi was right, before 2004 Britain was well behind on its moral progress, and if the Conservatives win the next election, we could go back there. The Hunting Ban of 2004 outlawed the cruel, barbaric and backward ‘sport’ of hunting with hounds, and the terrible suffering and injuries that it brings to foxes, deer, hares and other hunted animals. From the very beginning those against the ban argued that it was confusing, illiberal, divisive and un-enforceable. Despite the convictions that the ban has brought, and public opinion remaining weighted against them (in an Ipsos-MORI poll this year 7 out of 10 people wanted hunting to remain illegal), these excuses are still being used to argue for a repeal of the ban. Importantly, more people support the ban than oppose it across all the main political parties – a fact Cameron would be wise to note. The reality is that the Hunting Act is enforceable – a fact demonstrated by the mounting number of successful prosecutions (28 to date with more in the pipeline). Hunt monitors from groups such as the International Fund for Animal Welfare (IFAW) and the League against Cruel Sports are working with police forces to ensure the law is obeyed. It is now the responsibility of the police to ensure that the law is enforced – something we can encourage every Chief Constable in the country to do. Whilst most reasonable people believe the hunting community should move on, it is apparent that they will not give up quietly and are running a highly political campaign to re-instate their cruel sport. David Cameron is being backed by pro-hunt campaigners in the hope that he will lead a campaign to repeal the ban. The pressure group ‘Vote-OK’ which declares it is “Putting the people back into politics” is seen as a front of the hunting campaign. The group proudly proclaims “29 anti-hunting MPs ousted thanks to Vote-OK” at the last election. Followers of this organisation canvass for the Conservative Party at local and national elections and their actions may have been crucial in some marginal constituencies. In the recent Henley by-election, Vote-OK supporters boasted of helping the Conservatives to victory and there were an estimated 300 supporters working in Crewe and Nantwich. It seems as though the group is building up “favours” to be repaid should the Tories regain power. In the past Cameron has ridden with his local hunt at least six times (the leader of Mr Cameron’s local hunt is Julian Barnfield, who was one of the first people to be charged with hunting illegally and who is working closely with Cameron’s father-in-law on the Countryside Alliance’s repeal committee.) Cameron himself was quoted in an article four years ago describing his thrill of chasing a fox on a “powerful steed”, and on another occasion describing the Ban as “bonkers”. Surely the bonkers decision would be for a Conservative Government to repeal a law that the majority of voters, including most Tories, support? Banning hunting was a Labour manifesto pledge, and ranks as one of the Government’s most notable achievements over the past decade. It is clear that only Labour can be trusted to enforce the current law and to protect wildlife from barbaric ‘traditions’ in the long-term. I will leave the last word to David Harcombe, editor of the vitriolic pro-hunting journal “Earth Dog Running Dog”, “The Tories supported our struggle against the Hunting Ban, and they have promised us that they will repeal the law as soon as they are ever returned to power and that is the greatest prize any of those parties of perverts, paedophiles, liars and crooks are ever likely to offer us. Regular readers will know my views, I proudly support the British National Party and pray one day…they will sweep to power…in the mean-time go for the Tories”. 1. Give the animals the benefit of the doubt and don’t buy it complain to the retailer explaining that they have lost a sale because of poor labeling/customer service. 2. Write to Gareth Thomas MP, Department for Business, Enterprise and Regulatory Reform, 1 Victoria Street, London SW1H 0ET urging him to bring in legislation as soon as possible to protect your rights as a consumer. On top of blocking cetacean communication channels, ocean noise pollution has been linked to behavioral changes in cetaceans, such as the abandonment of preferred habitat and of vital activities such as feeding. Although many retailers now refuse to stock real fur (Marks & Spencer, TopShop, John Lewis, Zara, Sainsburys, Selfridges, Harvey Nichols and others) real fur is still sold in the UK. Often it is not labelled as such as there is no legal requirement for fur to be labeled as real. This means consumers can be mislead into buying real fur believing to be fake.